A Donegal businessman has been found guilty of demolishing his own derelict premises. Letterkenny businessman Tony Kelly appeared at Letterkenny District Court charged with knocking down his former Mercedes garage at Pearse Road without planning permission. Kevin McElhinney, solicitor for Donegal County Council said a contractor knocked down the premises in 2017. When contacted by the council in April 2017, Mr Kelly expressed surprise that he needed planning permission to have the building demolished. 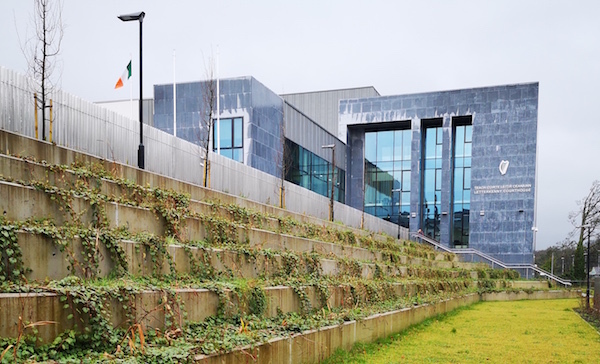 Solicitor for Mr Kelly, Mr Gordon Curley told the court that a report from architect John Masterson of MH Associates in Letterkenny said the building had become unstable and was a health hazard. Mr Curley said that his client had taken all the essential steps to have the building demolished in a safe and secure way but now accepted he needed planning permission at the time. Some rubble from the demolition had been sored at the back of the site while another quantity had been taken away by a local contractor. A report on where this rubble was dumped is also the focus of another report but Mr Kelly was not responsible for this incident. Mr Curley added that none of the material taken from the site was hazardous. The court was told that a car wash still operated from a small part of the site. Judge Paul Kelly asked Mr McElhinney what the council wanted him to do in the matter. He was told that the council wanted a prosecution, a sanction by way of a fine for the unsanctioned works that have taken place at the site. Having considered the matter, Judge Kelly fined the accused €1,000 and ordered his company to pay €1,000 in costs and also applied the probation act. Two years ago, Mr Kelly revealed how he planned to invest €2 million turning the derelict site into apartments and retail outlets as well as a petrol station.